SOURCE: The Ritz-Carlton, Washington, D.C. and The Ritz-Carlton Georgetown, Washington, D.C.
WASHINGTON, DC--(Marketwired - Mar 24, 2014) - The Ritz-Carlton, Washington, D.C. and The Ritz-Carlton Georgetown, Washington, D.C. have announced the launch of their newest family package: Lions, Tigers and Bears…Oh My! The robust Washington, D.C. vacation package commemorates the milestone anniversaries of the Smithsonian's National Zoo and the Wizard of Oz through a host of unique experiences. Tailored to Ritz-Carlton guests of all ages, the package encourages families to discover and explore the nation's capital in a fun and interactive format while providing a refined luxury experience in two of Washington's only AAA Five Diamond hotels. "The National Zoo's newborn lion, tiger, and panda bear cubs are reason alone to pack up the family for an extraordinary family adventure in Washington," said Elizabeth Mullins, vice president and area general manager of The Ritz-Carlton, Washington, D.C. "From exciting scavenger hunts at the Zoo to leisurely movie nights at the hotel, this package offers everything you need for an unforgettable family getaway." Rates starting from $349 per night at The Ritz-Carlton, Washington, D.C.
Rates starting from $419 per night at The Ritz-Carlton Georgetown, Washington, D.C.
For more information or reservations for The Ritz-Carlton, Washington, D.C., please call the hotel directly at (202) 835-0500 or visit http://www.ritzcarlton.com/washingtondc. For more information or to place a reservation for The Ritz-Carlton, Georgetown, Washington, D.C. please call (202) 912-4100, or visit www.ritzcarlton.com/georgetown. About this company The Ritz-Carlton, Washington, D.C. and The Ritz-Carlton Georgetown, Washington, D.C. 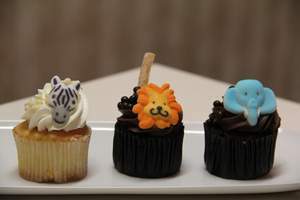 The Ritz-Carlton, Washington, D.C. and The Ritz-Carlton Georgetown, Washington, D.C. have announced the launch of their newest family package: Lions, Tigers and Bears…Oh My!